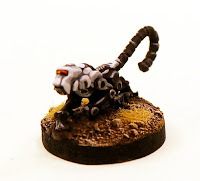 The Ion Age Blog: Mech Head Studio video review of Jade Ape Battlesuit and more! Mech Head Studio video review of Jade Ape Battlesuit and more! Mech Head Studio's have put up a short video review of some of last month's new releases at The Ion Age. The fellow that runs the studio is a great fan of 15mm science fiction wargaming called Jason Arana Sr from the United States of America. It is a great look at the Xin. Their Battlesuit along with some of the Sanbao Trade Fleet soldiers and the Xin Monkey Bot which was the free monthly miniature for February 2016. Jason puts himself due about his camera quality but it is very hard to take images and video of unpainted white metal and I think he did a grand job! Enjoy. 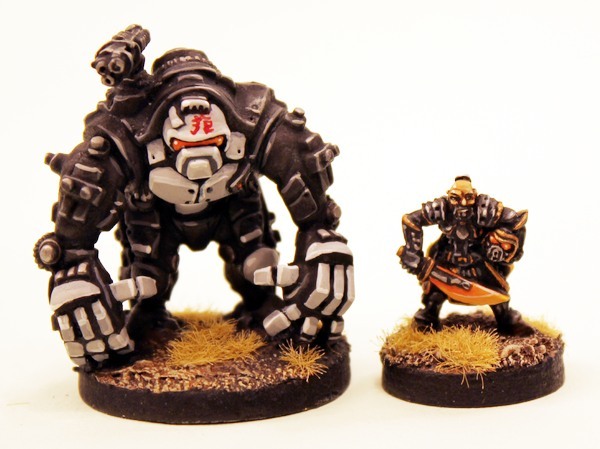 If you are interested the the 15mm miniatures of the Xin Hegemony you can find them on our website HERE. Below are some images from our own site featuring the codes looked at by Mech Head Studio. The Xin Precinct is made up of the eight central star systems along with a number of smaller outposts all contained with a constricted pocket of stellar space that has only now become accessible once more after a thousand years of isolation caused by the detonation of the Aldan Crucible during the first Khanate War. Contained by Dolorous Clouds that resulted from the detonation which also decimated the Prydian Precinct there is now a slim open passage for navigation by Ancep Drive. Our knowledge of the Xin comes from archives that are from ancient times and also a more recent partially successful expedition mounted in 4303IC by the Starvaulters and of course from the Great Trade Fleet dispatched to Prydia in 4327IC. Commanded by Grand Admiral Hong Tu Quin the hundreds of vessels that make up the fleet have visited a third of the systems in the Precinct thus far. Trading in exotic goods, rarities as well as information and technology they have made allies and some enemies. While the hegemony maintains its own imperial army and fleet officially under the command of Princess Xin Meiying the grand admiral has his own military that is embarked upon his starships. Collectively known as the 'Sanbao' the gifts or protectors we refer to them as Trade Fleet Soldiers for the most part. Refer to other entries in AAT Series 77 for the Sanbao in detail. These troops are very effective and have aided our regiments in actions against the Khanate Empire. The Xin hegemony is centred on the three core planets in the central Xin Precinct system of Jinhong. From the lotus throne on the planet of Wei the princess rules in troubled seclusion while the planets of Zhao and Yan are in an uneasy alliance. We know of the rebel Prince Tang and his efforts to marry the princess though these actions seem to be taking place in the holdings of all three planets of the Jinhong system outside of the core system. All three core planets have the other systems in the Xin Precinct split between them. Refer to other entries in AAT Series 77 for details. The Council of Addans has deemed the Xin Trade Fleet has a nominal ally though it is up to each Knight General and Marcher Baron to establish their own relations with the vast fleet as it passes through. As yet Grand Admiral Hong Tu Quin has not responded to the ongoing campaign in the Carmarthen cluster.